Google is not convinced that all the litigation is justified. "The patent system should reward those who create the most useful innovations for society, not those who stake bogus claims or file dubious lawsuits," said Kent Walker general counsel for Google in the firm's blog. 'If successful, we hope this portfolio will not only create a disincentive for others to sue Google, but also help us, our partners and the open source community - which is integrally involved in projects like Android and Chrome - continue to innovate," he added in a blog post. Google's $900m bid is a "stalking horse asset sale agreement" which means other companies interested in the 6,000 patents on offer have to put more money on the table. The sale will include patents and patent applications for wired, wireless and digital communications technology. "This is an unprecedented opportunity to acquire one of the most extensive and compelling patent portfolios to ever come on the market," said George Riedel, Nortel's chief strategy officer. Google has admitted that it is lagging behind other industry players such as Apple and Microsoft in terms of the number of patents it holds. The United States Patent and Trademark Office lists Google patents at 630, while Apple has over 3,800 and Microsoft has about 18,000. "Google is a relatively young company, and although we have a growing number of patents, many of our competitors have larger portfolios given their longer histories," said Google's Mr Walker. The internet giant has also said it faces a major increase in litigation from so-called patent trolls and industry competitors as it tries to grow its Android mobile phone software, the increasingly popular operating system for handset manufacturers, carriers and software developers. One of the more high-profile cases involves Oracle and relates to Java software used on the Android mobile device platform. Another involves Microsoft co-founder Paul Allen who is suing Google and 10 other companies for patent infringement. "In some cases some of those lawsuits, even though they are couched as patent infringement lawsuits which generally mean we are looking for money from you, are not all they seem," said Charles Golvin, principal analyst with Forrester Research. "I think many of these lawsuits are meant to slow down innovation especially when they come from a competitor." 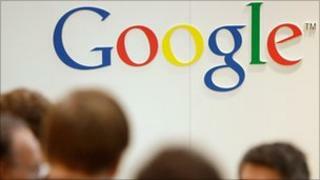 Patent expert Florian Mueller told BBC News that in the last 12 months, Google has faced 37 patent lawsuits. "It's not like Google could solve the whole Android patent problem with one purchase like this, no matter how large," said Mr Mueller. "They would need more such deals. The real question is why haven't they been buying up patents like this at auction before now. They are coming from behind and it was quite foreseeable that they were getting into Android. They have now finally recognised that they must do something about their patent weakness." Nortel filed for bankruptcy in January 2009 and has been steadily selling off its assets to pay creditors. Its patent portfolio is the last significant piece of property the company has to sell and it is one that is expected to attract a lot of bids as mobile devices become ubiquitous. Last month Microsoft offered to pay $7.5m for net addresses from Nortel. Mr Mueller ventured that of the 6,000 patents on offer, a number of them will not be applicable to Google's business but will provide useful leverage. "Assuming they acquire those patents, I believe they will be powerful bargaining chips when it comes to cross licensing negotiations with other companies in the telecom space who have patents that Google is interested in. "The value to Google would be significant in terms of the value it can extract from other companies and their patents," said Mr Mueller. He said he believed the final price for the portfolio will be "well north of $1bn". Other industry watchers have said it could go as high as $2bn. "The patent war is getting tougher and expensive," said Francisco Jeronimo, analyst with IDC. A decision on who will be awarded the portfolio will be made by a court in June. Bloomberg News said that court papers showed Google will be paid a $25m break-up fee if another bidder wins the auction. The search giant is also guaranteed a repayment of as much as $4m in expenses. Hours after Google announced its bid for Nortel's patents, Apple won a court ruling throwing out a $625.5m patent infringement verdict over how documents are displayed on a computer screen. Back in October, a jury said Apple was infringing on three patents owned by Mirror Worlds LLC and awarded damages of $208.5m for each patent. Apple argued in court papers that the amount was too high. US District Judge Leonard Davis agreed. "Mirror Worlds may have painted an appealing picture of the jury, but it failed to lay a solid foundation sufficient to support important elements it was required to establish under the law," he concluded.